Ongoing use of a CPAP (Continuous Positive Airway Pressure) machine plays a crucial role in the overall effectiveness of your Obstructive Sleep Apnea (OSA) therapy, however some people can find wearing the mask throughout the night awkward or uncomfortable, hot or even frustrating. Being uncomfortable in bed may tempt you to stop using your machine at night, which stops your treatment and may lead to your original symptoms of sleep apnea returning. If you are looking for a new mask option to give you more comfort and help your sleep better, look no further! ResMed has developed the new AirTouch F20 Mask, which is a softer alternative , so you can rest easier all night. 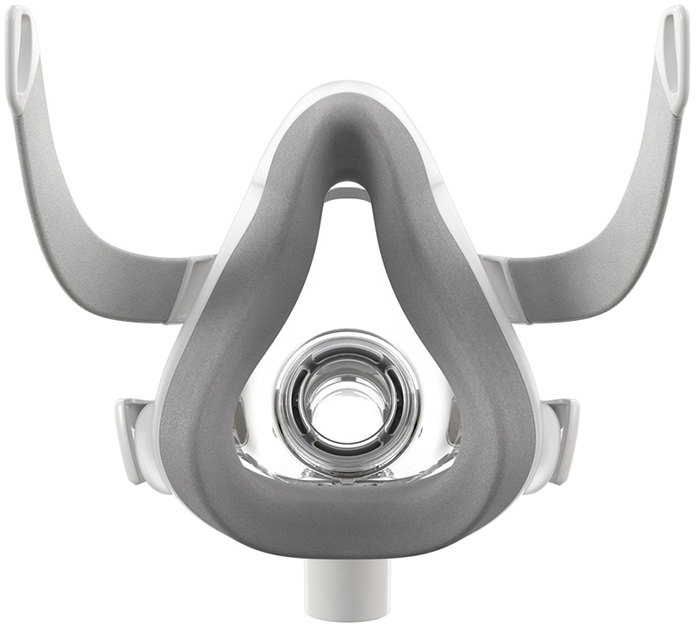 Introducing the new ResMed AirTouch F20 Mask. This is a mask unlike anything ResMed has ever made before. Designed to be light, unobtrusive and easy to use, the AirTouch F20 is the first ResMed mask to use UltraSoftTM memory foam cushion technology for the perfect blend of comfort and performance. With a soft flexible frame and magnetic headgear clips, the AirTouch F20 delivers you unprecedented comfort even at high pressures, by featuring a breathable vented seal and quick release mechanism. Its modular frame design allows you to discover the best option to suits your needs, by providing you with the ability to conveniently switch between AirTouch F20 memory foam and AirFit F20 InfinitySeal cushions. With the AirTouch F20 Mask, the range of fit and ease of use is everything you’ve come to expect from a quality ResMed product, however the seal performance and comfort is what sets it apart further. Designed for maximum comfort and use, the AirTouch F20 Mask may be exactly what you’ve been looking for to help you get the best night’s sleep when resting your head down on your pillow. We all want to rest better at night to feel more refreshed during the day, and the best way to do that is to feel relaxed while undertaking treatment for your sleep apnea. This starts with the mask. Here’s how the features of the new AirTouch F20 mask helps you each and every night. Designed to be softer than silicone1, the ResMed UltraSoft™ memory foam, used along the edges of the AirTouch Mask, gently rests on the skin of your face, creating an outstanding seal, without excessive pressure or irritation caused by force. In evaluating mask comfort, the study found that other patients gave the AirTouch Mask an average score of 8.5/103, which is higher than the market-leading full face mask alternative. 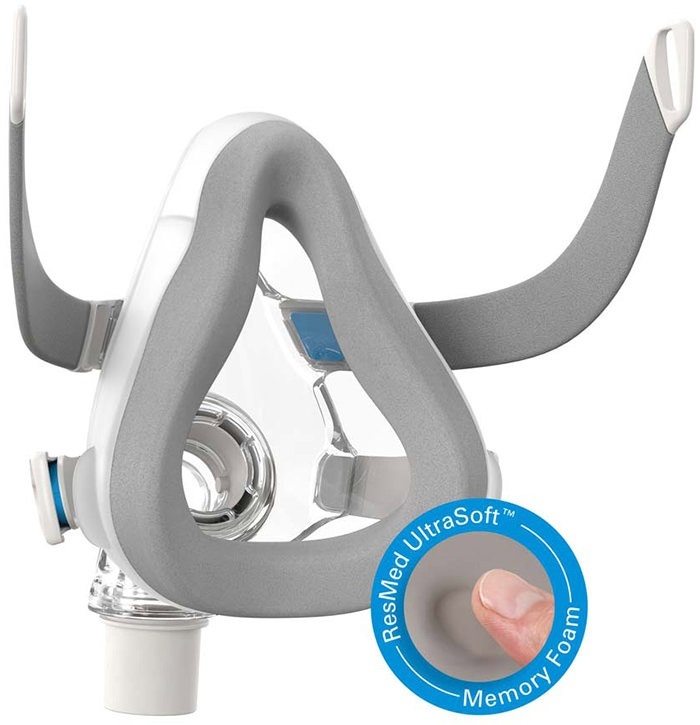 One of the greatest benefits of ResMed’s AirTouch F20 Mask’s is the innovative ResMed UltraSoft™ memory foam. This foam is customisable to your needs, which ensures that you get a more restful sleep. There are two cushion types and three sizes (small, medium and large) that all can be used easily with one frame., Additionally, you will have more autonomy with your configurations which means that your treatment can be managed without having to go back and forth to see your sleep specialist. The pieces are also replaceable, simple to reorder and adjustable as you need. Mask discomfort is a common reason why people may decide to skip their treatment or give up completely, which can put you at risk of the negative medical symptoms associated with Obstructive Sleep Apnea. However ResMed’s AirTouch F20 has been designed specifically to address discomfort issues so that you won’t be so concerned with wearing the mask every night, resulting in a better night’s sleep every day. The memory foam cushion adapts to the unique contours of each face, which provides a personalised and comfortable fit every time it is used. Regardless of the shape of your face and head, the AirTouch F20 is cleverly designed so that one-size fits all, resulting in less problems and maximum usability. If you are having issues during the night with excess heat and sweat, the AirTouch F20 seal around the edges can breathe, allowing heat and extra moisture to escape. Do you wake up with those red lines across your face after you remove your CPAP mask in the morning? One of the most frequent complaints that people have with Sleep Apnea Therapy is how the mask leaves prominent red marks across their skin where the edges have been sitting all night. The pressure of the mask on your face can cause visible red contact lines which are unsightly and embarrassing. However, due to the new design and UltraSoft™ memory foam found in the AirTouch F20 mask, you can rest even more at ease knowing that the morning won’t hold any more frustrating surprises. The AirTouch F20 distributes the force more broadly, meaning there is less pressure in specific areas which reduces localised irritation. The memory foam is also soft and compliant, which creates less friction and allows a small amount of air to pass across your skin. In a recent study, 84% of patients had no facial marks or said that it went away within 30 minutes of removing the mask5..
Not only is it more comfortable, it’s easy to look after too. Cleaning the UltraSoft Memory foam is a simple process.. The AirTouch F20 is not only different to others in terms of texture and feeling, it also requires different maintenance and care because it’s designed to be changed regularly. The AirTouch F20’s foam only requires light cleaning to keep the mask hygienic for daily use. All you need to do is simply wipe down the edges with an alcohol-free sanitised wipe, and then discard the current cushion monthly with a fresh new one. It’s that easy! Clean the cushion every day with a simple wipe down from an alcohol-free wipe or cloth. Keep the mask dry and away from liquids at all times. Observing these four above tips will ensure that you get the maximum benefit and ongoing use of your AirTouch F20 mask. Experience a new level of quiet with ResMed’s AirTouch F20 Mask! 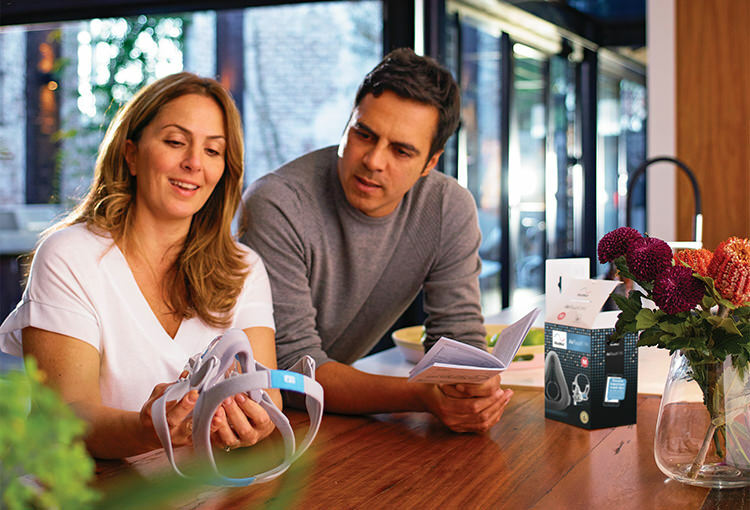 Called QuietAir, the AirTouch F20 Mask features a super quiet elbow mechanism which diffuses the air, delivering improved noise levels not only for you, but your partner as well. At only 21 decibels, which is the equivalent of a quiet rural valley or mountain slope environment, the ResMed QuietAir diffuser vent minimises noise and gently disperses exhaled air, making the AirTouch F20 Mask quieter than any other mask before. This means that it is 9 times quieter* and provides a 70% gentler exhaled air flow than ever before. When we are trying to sleep, peace and quiet helps to minimise disturbance and promote a restful night in the darkness. So not only is the AirTouch F20 Mask designed to be more comfortable, it’s also quieter too to help you sleep. Who is the AirTouch F20 Mask best suited to? 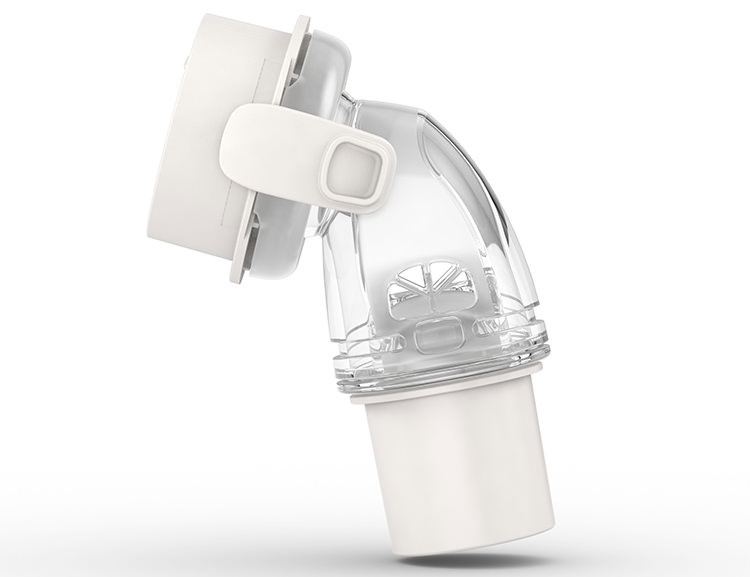 What are others Saying About ResMed’s AirTouch F20 Mask? In a recent clinical study conducted this was some of the feedback about the new AirTouch F205 mask! 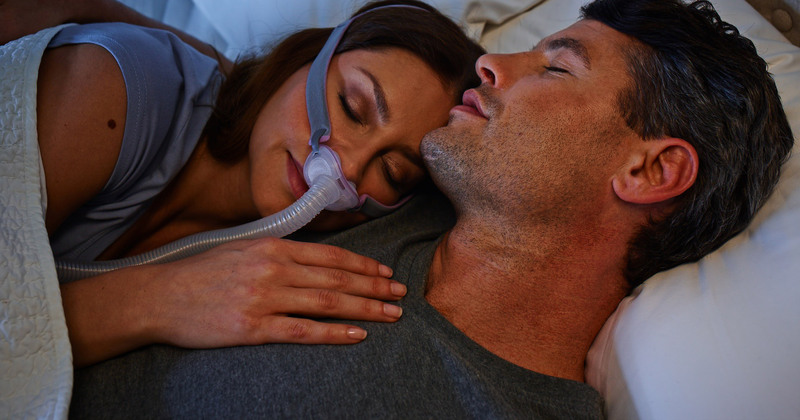 If you’re looking for unparalleled levels of comfort and quiet each and every night during your Sleep Apnea treatment, then it’s time to get the ResMed AirTouch F20. ALREADY OWN AN AIRFIT F20? If you already own an AirFit™ F20 mask, you can purchase the AirTouch™ Memory foam cushion to use on your existing mask. 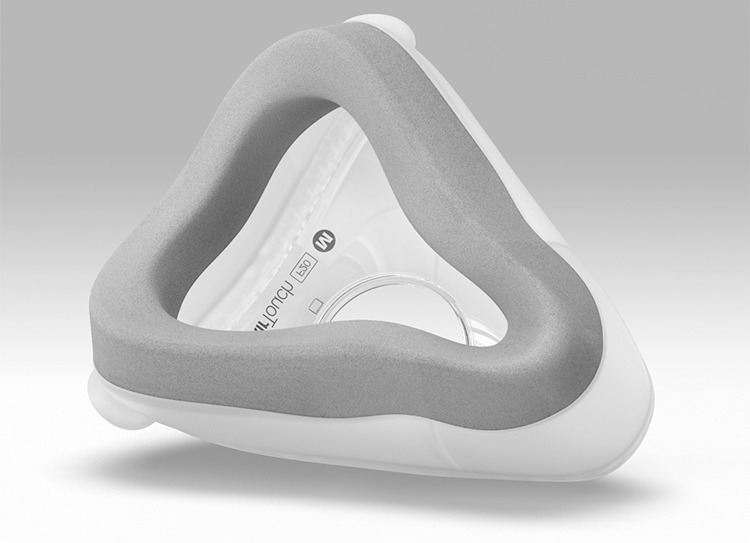 ResMed AirTouch F20 internal USA fitting study of new and existing CPAP patients, conducted April 2016 and August 2016. ResMed AirTouch F20 User Satisfaction Clinical Study, 2017. * Reduction in sound power level of 10dBA compared with the standard F20 elbow. ** Measured as the reduction in peak velocity when compared to the standard F20 elbow.